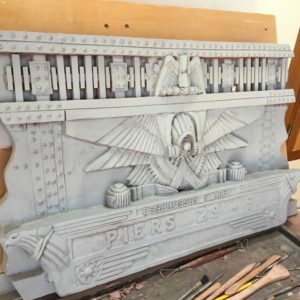 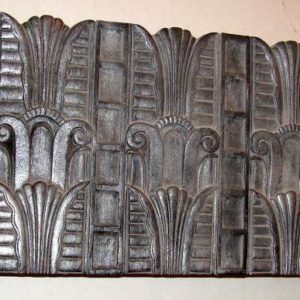 I am excited to offer this interesting Sullivanesque 1884 design after those that were connected to Adler & Sullivan, George Elmslie, Kristian Schneider once installed on the James W Scoville building in Chicago. 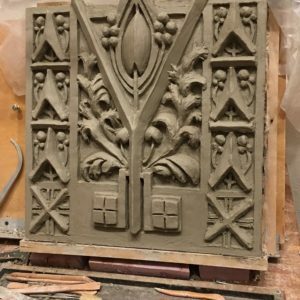 Significance: The James W. Scoville factory building, designed by Adler & Sullivan contains three different designs belonging to the transitional period (1880 and 1890) of Louis Sullivan’s architectural ornament. 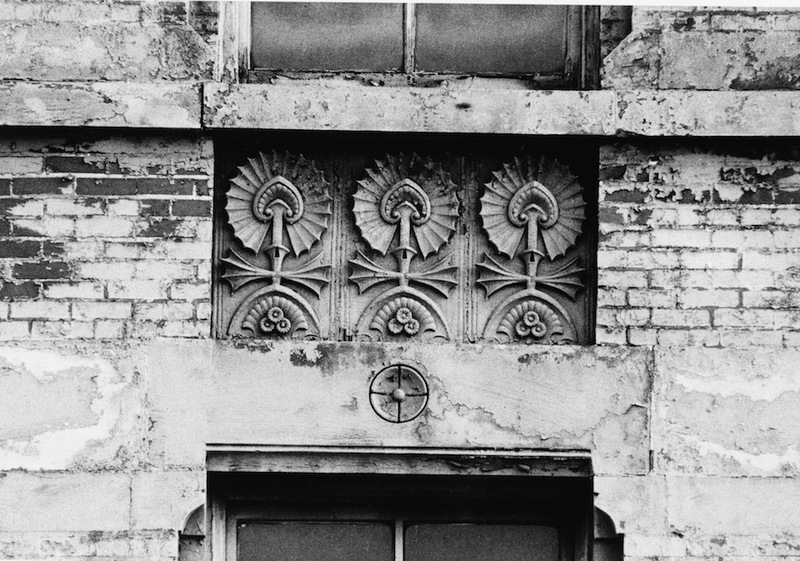 This structure was the best and most ornamental of all the few remaining factory buildings by Adler & Sullivan. 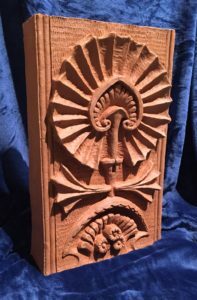 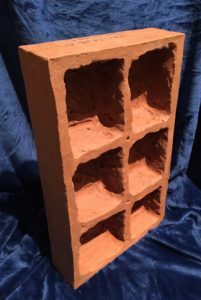 This sculpture is available in hand-pressed kiln fired red terracotta as shown, for embedding into an exterior wall or in the garden. 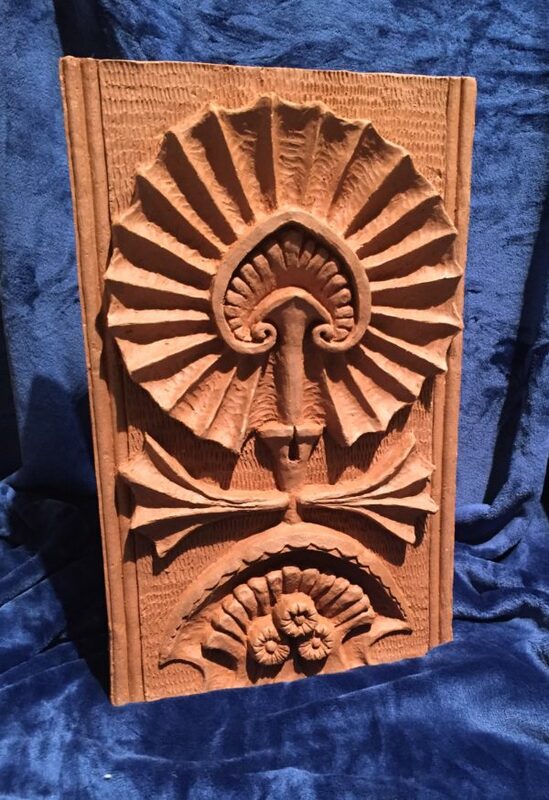 It is also available in interior cast-stone which is available in any of my usual finishes- for interior wall display.